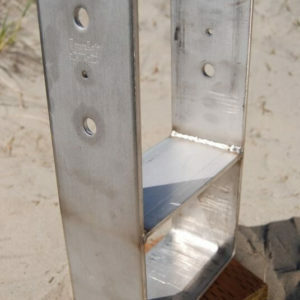 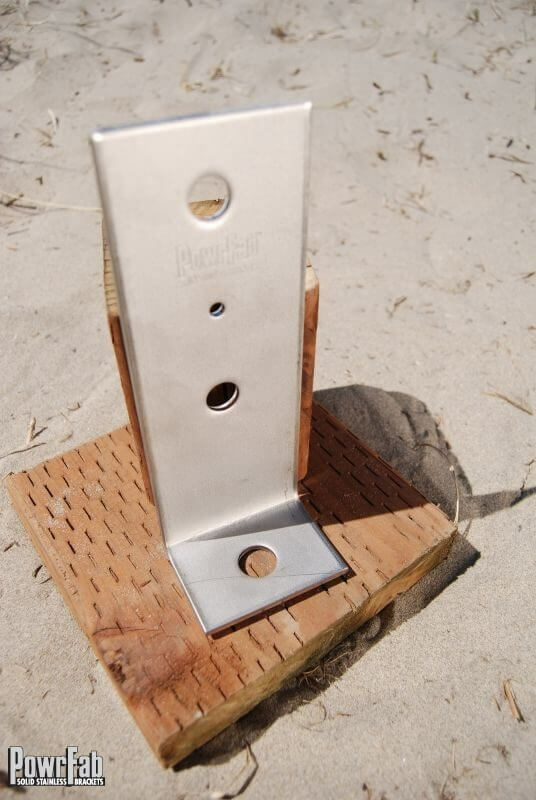 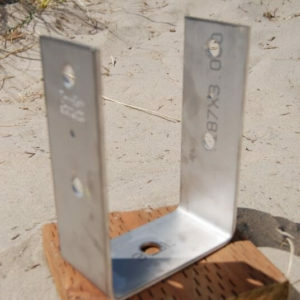 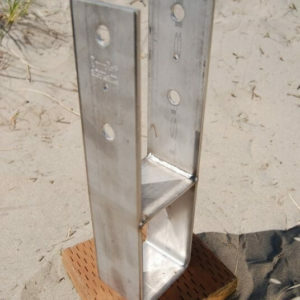 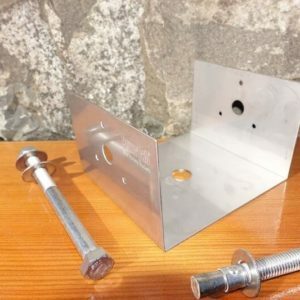 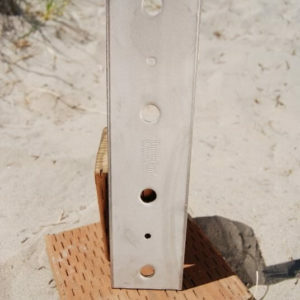 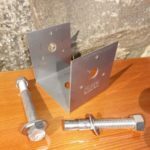 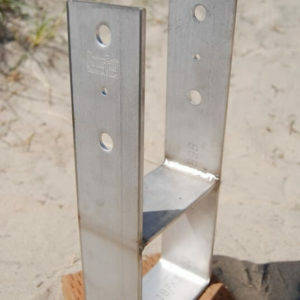 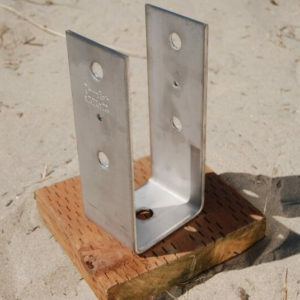 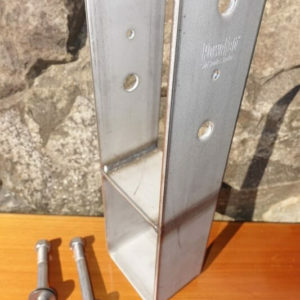 3/16″ x 3″ 316L Stainless Steel Flat Bar Anchor Bracket. 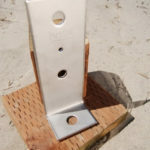 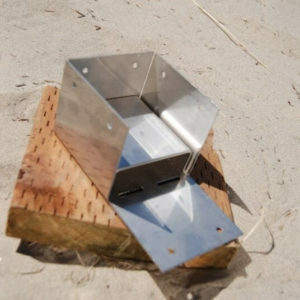 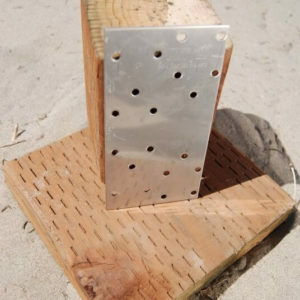 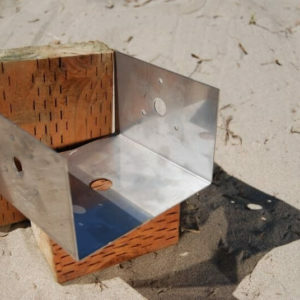 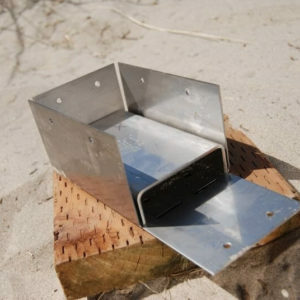 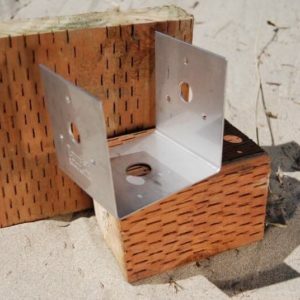 The overall dimensions are 2″ x 8″ 90 degree bracket that is 3″ wide. 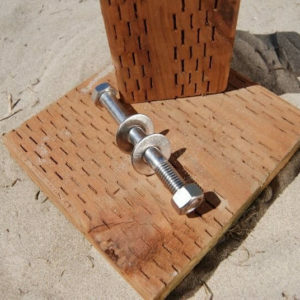 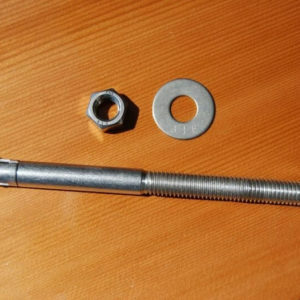 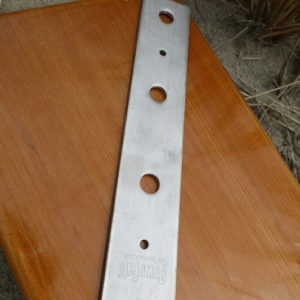 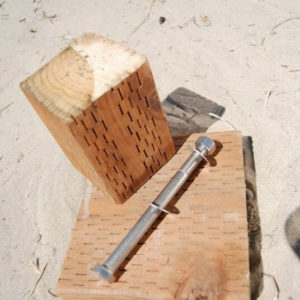 There is one 3/4″ diameter hole center of 2″ leg and two 5/8″ diameter holes in the 8″ leg.